Please download our application form by clicking the application form link below. Please note you can fill the form in if you have adobe acrobat and then email it to us. 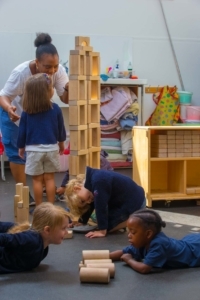 Chelsea Open Air Nursery School offers up to 70 Government funded nursery education places for children of three and four years of age. These places are offered free of charge during term time only for 15 and 30 hours per week depending on your circumstances. The criteria for this allocation are set by the Government. The Government funding is intended to deliver 15 universal and extended 30 hours entitlement per week of funded, high quality education. It is not intended to cover the cost of meals, other consumables, additional hours or additional services. Places are offered out during the second half of the Spring-Term. To secure your place you will need to return the ‘Offer and Agreement’ form before the stated date and where required, pay a deposit. The 15 hour places are offered over five half days, either morning (9.00 am to 12.00am) or afternoon (1.00pm to 4.00pm). Parents can request their preference. We will try to meet parental need however it is not guaranteed. There is an option to increase your child’s hours for a fee. Please see below. We have a limited number of 30 hour places. This runs term-time only, Monday to Friday 9.00am-3.00pm. A deposit of £400 is taken to hold the place and is refunded at the end of the academic year. If your child leaves before this time you will forfeit your deposit. In some family circumstances and at the discretion of the Senior Management Team a deposit may be waived. To check your eligibility for 30 hours, you will need to meet the criteria below and apply through the online website: www.rbkc.gov.uk/childcarechoices. If you meet the requirements you will be issued with a voucher. You will be able do this the term after your child turns 3. This code will be checked once each term during their enrolment in the nursery. It is the parents /carer’s responsibility to ensure the voucher remains valid otherwise they may lose their funded place. All parents in the household work the equivalent of 16 hours a week and earn at least £115.20 per week (if over the age of 25) and £107.20 per week (if between the ages of 21-24). No one parent in the household earns over £100,000. Both parents are employed, but one or both parents are temporarily away from the workplace on parental, maternity, paternity or adoption leave. Both parents are employed, but one or both parents are away from the workplace on statutory sick pay. One parent is employed and one parent is disabled or incapacitated based on receipt of special benefits. One parent is employed and one parent has substantial caring responsibilities based on specific benefits received for caring.